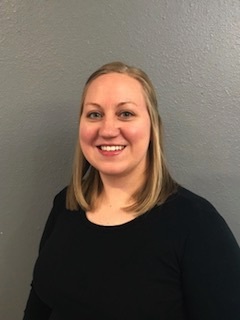 Carrie Jensen has been teaching band at Stanton Community Schools since 2018. Her previous positions include teaching instrumental music at Wayne Community Schools and Sandy Creek. Carrie received a Bachelor of Science in Music Education from Wayne State College and a Masters of Music in Music Education from the University of Nebraska-Lincoln. During her tenure in Wayne, Carrie developed a junior high jazz band program and organized a local solo and small ensemble festival. Additionally, Carrie is adjunct faculty at Wayne State College and was a faculty member of Rushmore Music Camp for eight years. In 2014, Carrie was a recipient of the NSBA Jack R. Snider Outstanding Young Band Director Award. Under her direction, the Wayne 8th Grade Band participated as a demonstration band at NSBA convention in 2011. Additionally, Wayne Community Schools was a recipient of NMEA's Exemplary Program Award in 2012. She maintains an active performing schedule, including the Wayne State College Symphonic Band, Norfolk Community Band, substitute for the Sioux City Municipal Band, and frequently performs at local churches. Carrie currently serves on the Northeast Nebraska All-Star Marching Band board and is active as a guest conductor and clinician. Her professional memberships include NSBA, NMEA, NAfME, and NSEA. Carrie and her husband Chad currently reside in Norfolk. They love to spend their free time golfing, cooking, and boating on the lake.